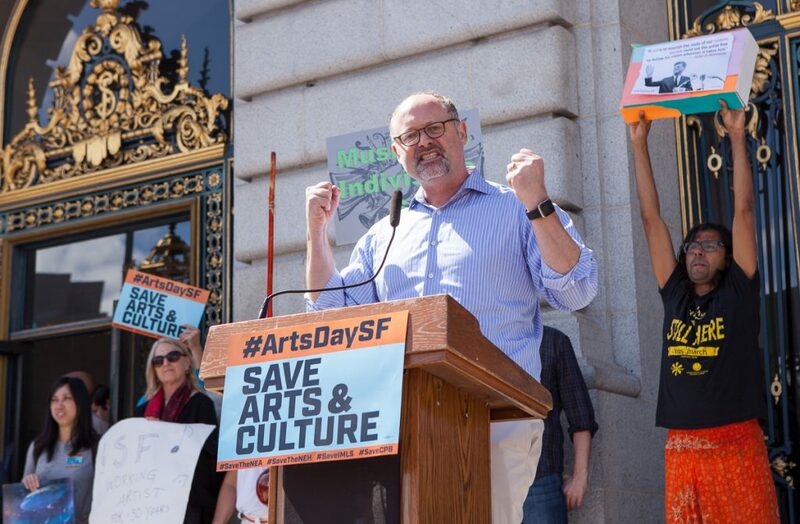 Yesterday I returned to San Francisco City Hall for yet another rally, this one to support funding for the arts. 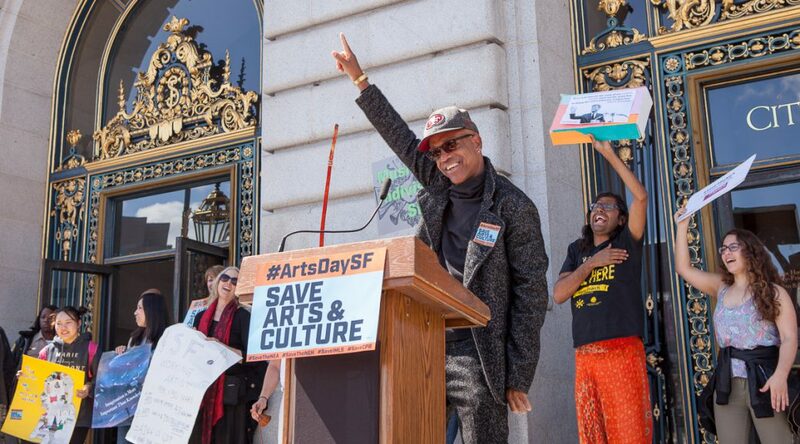 San Francisco Arts Advocacy Day was organized by Arts for a Better Bay Area, “a coalition of arts practitioners invested in quality of life, creative expression, cultural equity, and vibrant neighborhoods”. During the 2016 election season, this group worked to secure funding for the arts using hotel tax revenue under Proposition S, which won over 63% of the vote but did not pass (as a two-thirds majority was required). 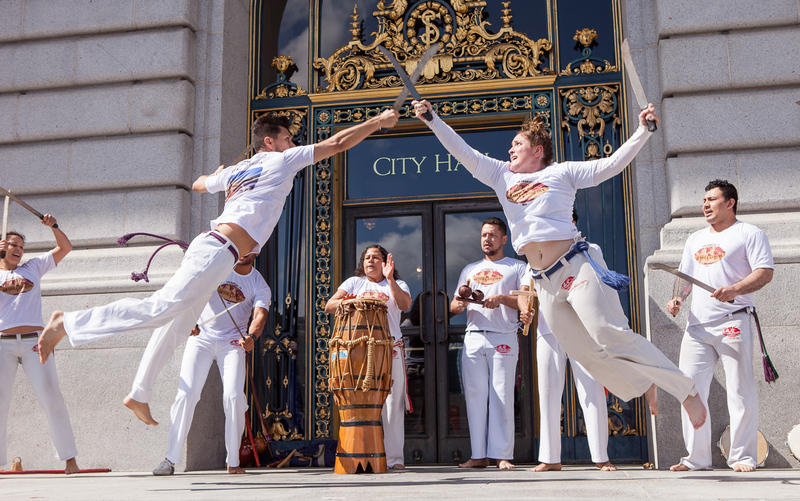 The event began with a demonstration by ABADÁ-Capoeira. I was very impressed with their athleticism. 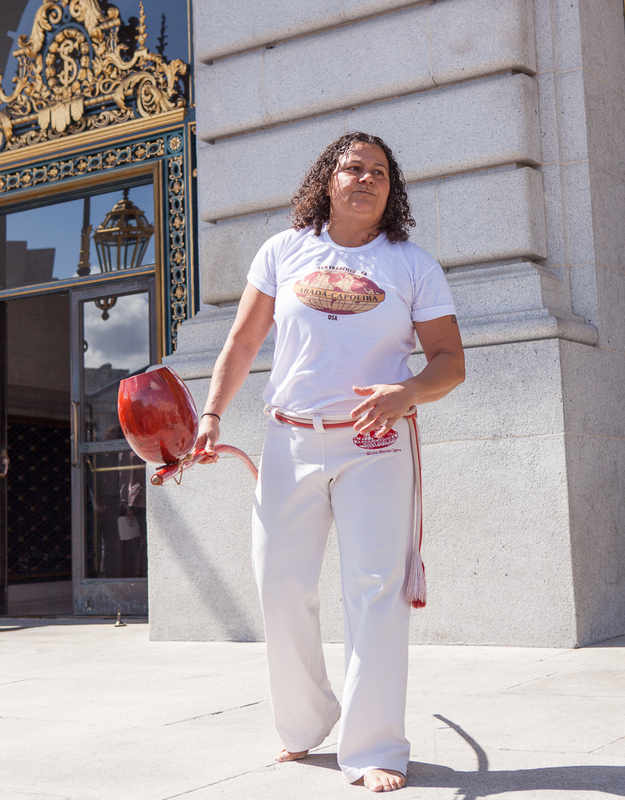 The leader of the group, Mestra Márcia Cigarra (Márcia Treidler), spoke afterward about what immigrants like herself bring to the arts. 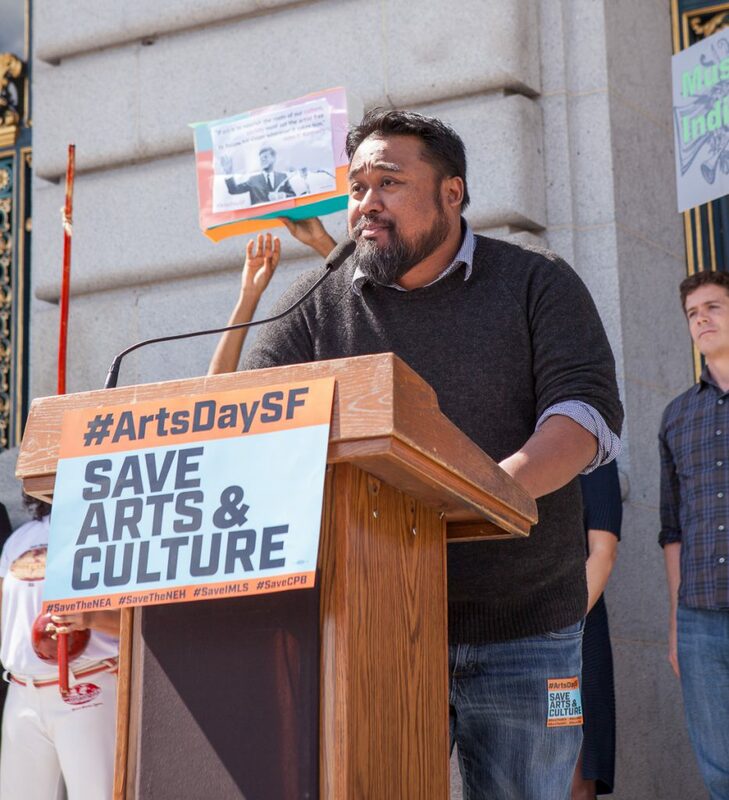 The arts have always been politicized, but this is especially so under the Trump administration, and I appreciated that the speakers at the rally brought a multicultural perspective to the situation. 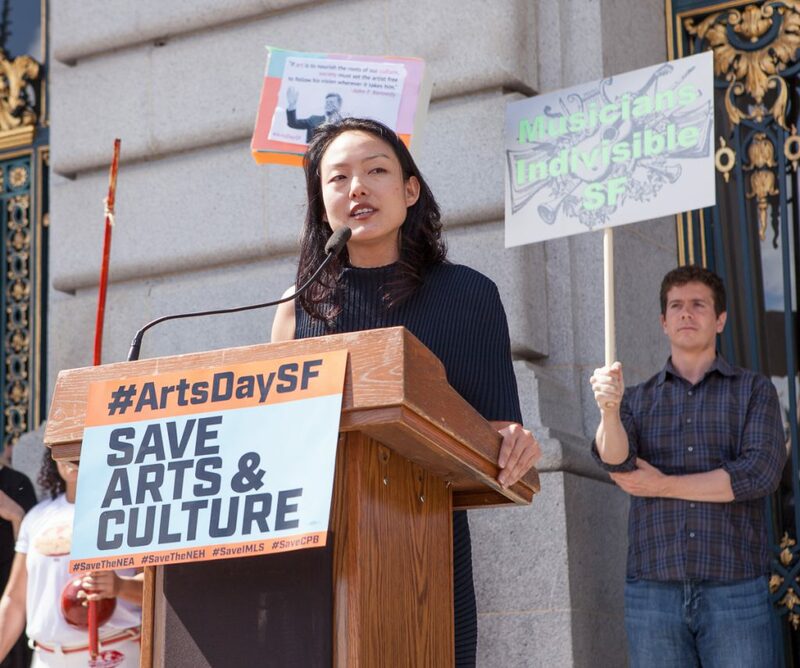 San Francisco Board of Supervisors member Jane Kim spoke out especially strongly against Trump, calling him an enemy. 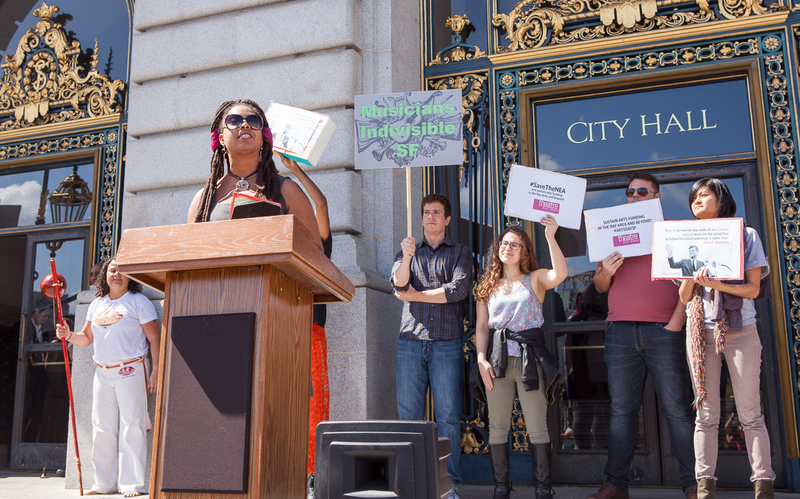 Other speakers included Dr. Anne Huang of World Arts West (who served as the emcee), RaMona “Mona” Webb of the Queer Cultural Center, Sarah Pritchard of SOMArts, Jason Bayani of the Kearny Street Workshop, Ruth Nott of the San Francisco Opera, Leah Greenberg of the Contemporary Jewish Museum, Idris Ackamoor of Cultural Odyssey (pictured at the top of this post), San Francisco Board of Supervisors member Sandra Lee Fewer, and Jonathan Moscone of the Yerba Buena Center for the Arts. 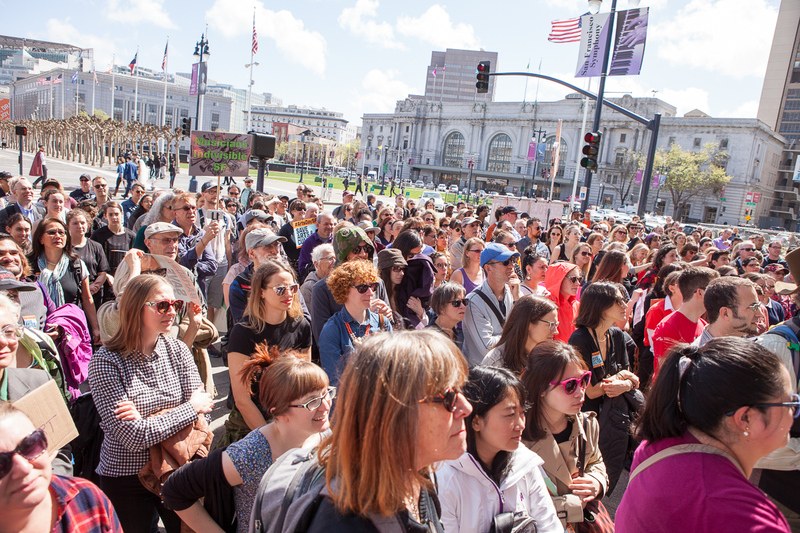 There was a good-sized crowd for the event, no doubt helped by the warm, sunny weather. Unfortunately the sound system was not hooked up until halfway through, so many attendees probably could not hear the first few speakers. The small speaker that was eventually turned on appeared to be same one used at the Day Without a Woman rally earlier this month; hopefully groups like this can get funding for better sound support in the future. A public comment session at the Board of Supervisors meeting followed the rally, but I did not stick around for that. 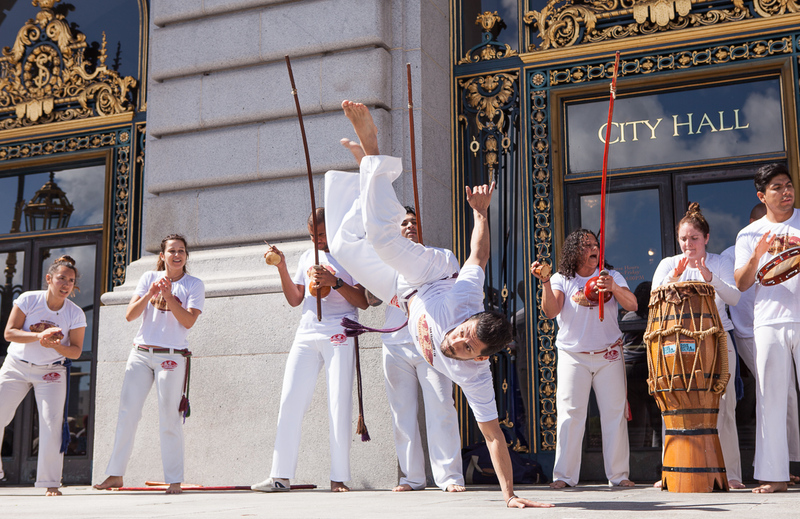 My full set of photos from the event is available on Flickr. Some of the photos are also on Wikimedia Commons. Please credit me as Pax Ahimsa Gethen if you use any of them, thanks!